As a kid, Dustin liked hockey, baseball, and maps. That third interest led him to spend over 15 years in the mapping/geospatial industry. Since 2013, he’s been a member of the Sparkgeo team. Dustin trained at the Southern Alberta Institute of Technology, in Calgary, and the University of Saskatchewan, in Saskatoon. 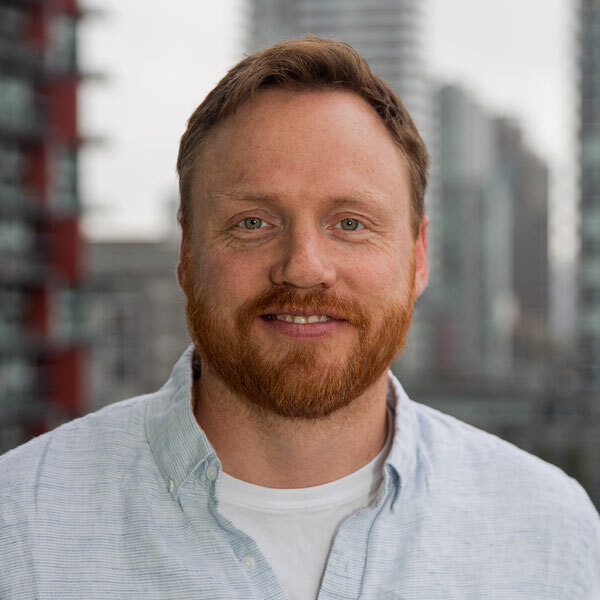 He then worked for engineering and forestry consultancies, and Vancouver-based startup PlaceSpeak. Currently, he lives in Nanaimo. When asked why he stays at Sparkgeo, Dustin cites the great people and interesting projects. The two he’s most fond of include Maptiks (our map analytics tool) and MERMAID (an application that captures fish and benthic data, for the Wildlife Conservation Society). Dustin’s grateful that he was able to join Sparkgeo early on—and help the company grow into what it is, today. He believes that part of Sparkgeo’s success relates to the way they listen to clients—and build close partnerships with them. Dustin loves being a dad, and spending time with his family. He also enjoys keeping up-to-date with technology advances in the geospatial sector. He admits to being taken aback by the rate of change in this space. At the moment, he’s keeping an eye on shifts in the auto industry, and how geospatial plays a part in this. As a Saskatchewanite, Dustin is a big fan of B.C.’s great hiking. He’s spent time on the Nootka Trail, Rockwall Trail, and at Mount Robson. That said, if he could go anywhere, right now, he’d go to bed… because he tends to burn the candle at both ends.